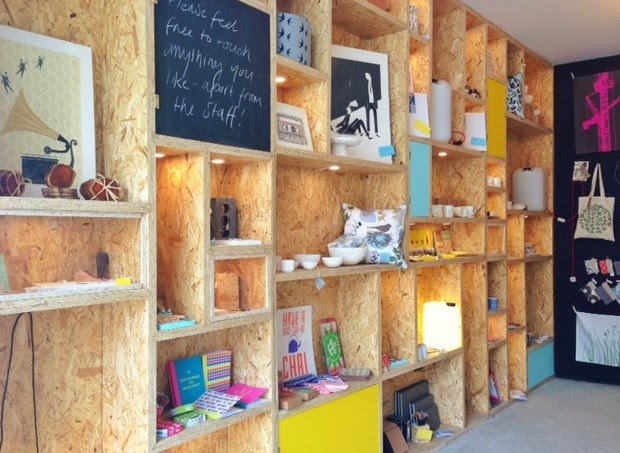 If you’ve been anywhere near Coldharbour Lane in Brixton over the past couple of weeks then you may have already spotted Turpentine, the new ‘creative retail hub’ which offers a whole host of goodies which have been handmade. The store - formed by Amber Rogers, Alice Waters and Judith de Berker - originated as a pop-up, selling indie craft, art and giftware, and has now evolved into a shop with its very own permanent residence at 433 Coldharbour Lane. Their cute and quirky items have been created by almost 50 'indie-makers' and range from £15 to £50 – so there’s something to suit every budget! What's even better, The Turpentine will run evening and weekend workshops on all sorts of arts & crafts, from jewellery-making and floristry to life-drawing and photography – all led by co-founder Judith de Berker, who attended Central St. Martins. Pop on by to see it for yourself!